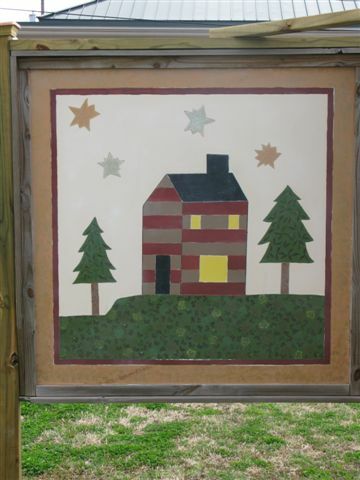 This block was painted by Sheri Roberts, Danny Whitlock and Lynne Deweese, members of the Hickman County Arts Council. 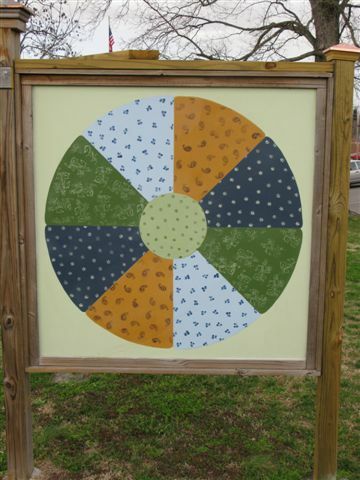 It is located beside the Hickman County Museum on East Clay Street, one block east of court square in Clinton, Ky, 42031. 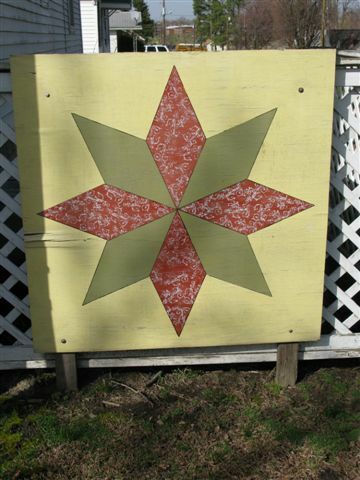 (One of two at this site.) GPS coordinates: N36 deg-40.024 W 88 deg-59.554. 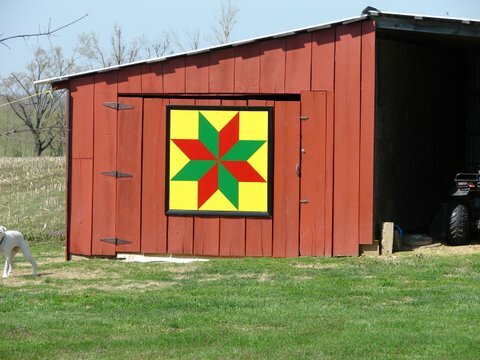 Patterns came from book ‘Better Homes and Gardens New Edition Grandma’s Best Full Size Quilt Block’. 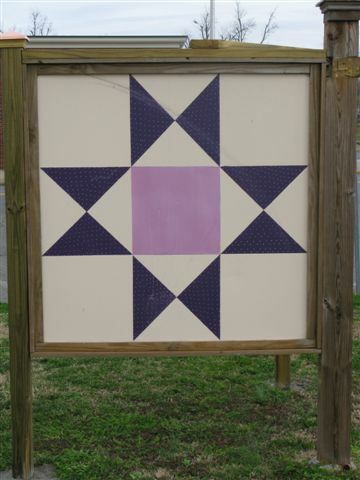 This four by four block is located on the west side of the Hickman Co Genealogical Society building which is on the corner of Clay Street and Jefferson Street and is across the street from Courthouse. 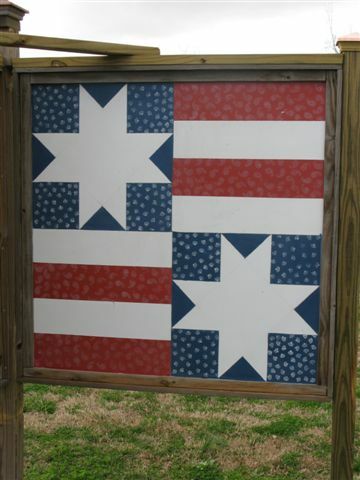 It was first displayed in 2010. 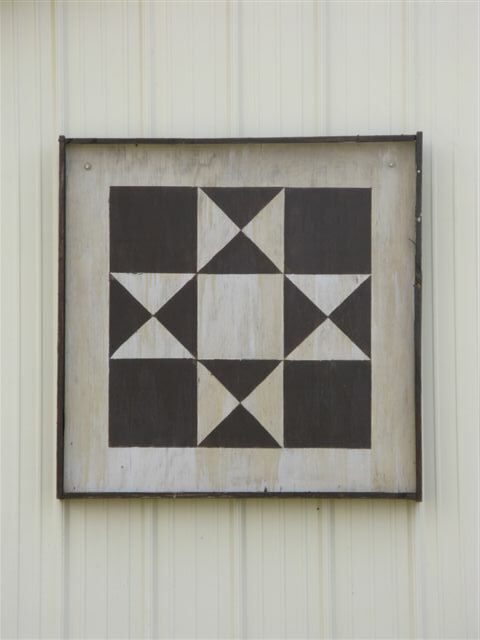 This quilt square is brown and khaki on a metal shop at David and Lily Kimbell’s home at 2393 State Route 58W, Clinton, Ky 42031. GPS coordinates: N 36 deg 39.059 W 88 deg 56.593. 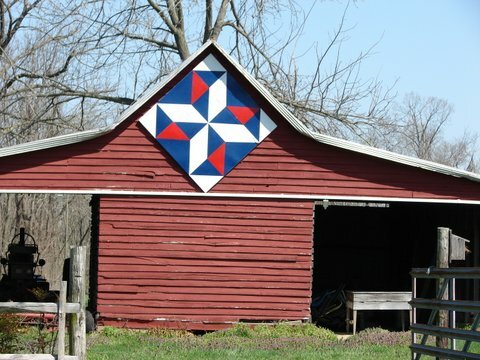 The Varible Star Block was painted on fiber glass in blue, white and red at Dotty and Phillip White’s home on Highway 94 between highways 45 and 307 north of Fulton, Ky. 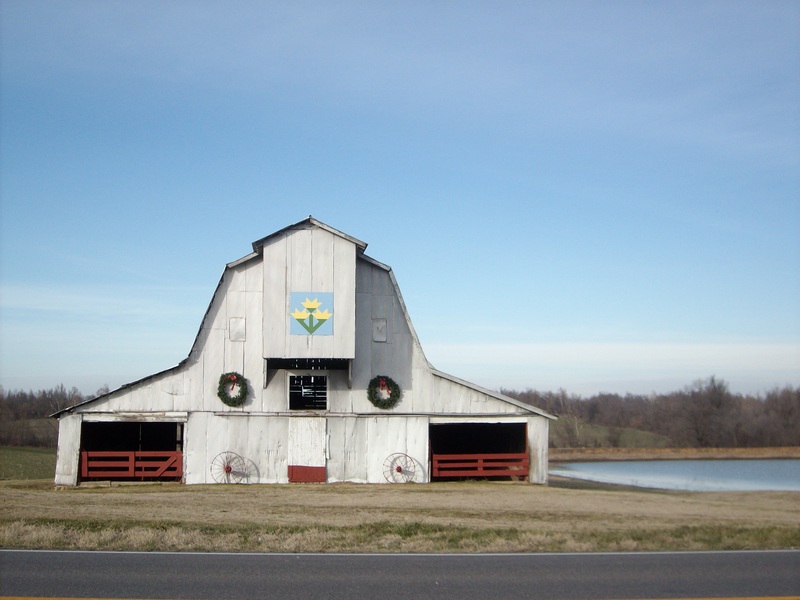 Address: 1020 State Route 94E, Fulton, Ky and was first displayed in 2007. GPS coordinates N36 deg 32-816 W 88 deg 51.166 and must be viewed from this location as the driveway is gated. 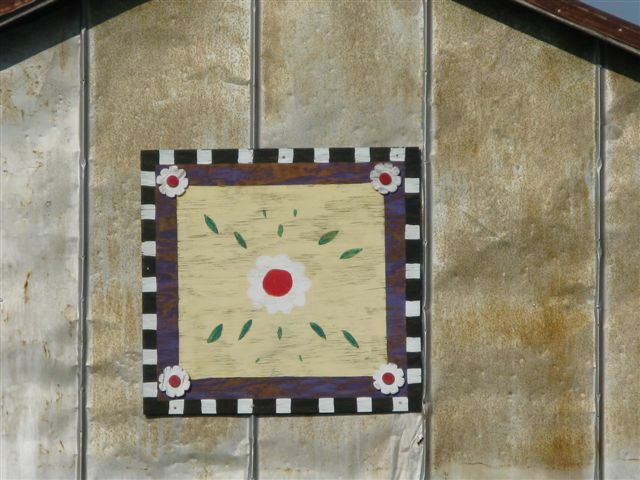 This 3X3 square is at the home of Connie and Betty Keene, 7788 State Route 58W, Clinton, Ky 42031. 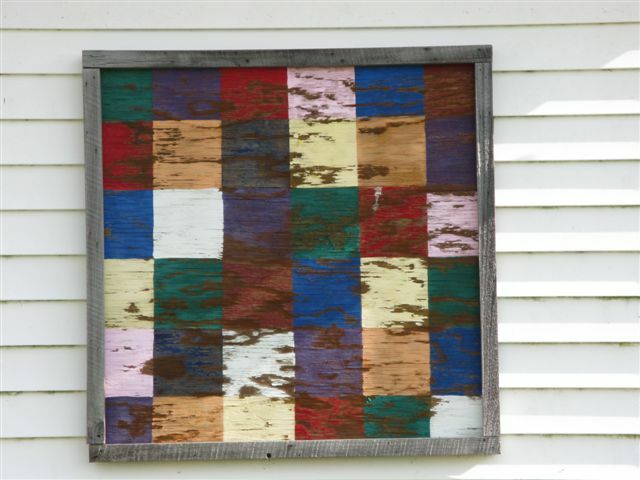 It was painted by Monda House, their daughter. 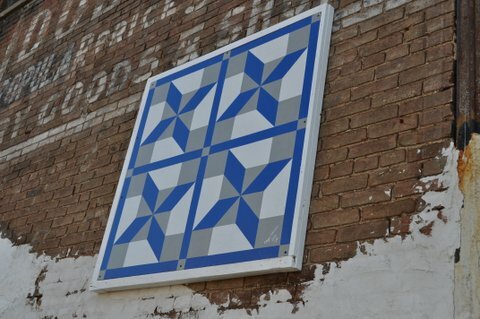 This block was first displayed in 2007. GPS coordinates: N36.58776 deg W88.89676. 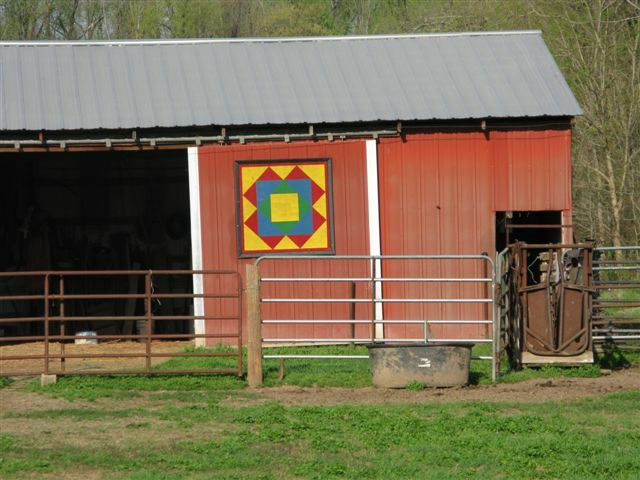 This three by three block was a gift painted by Monda House for Wanda House, 2143 State Route 307N, Clinton, Ky 42031. The GPS coordinates: N36 deg 40.947 88 deg 52.194.